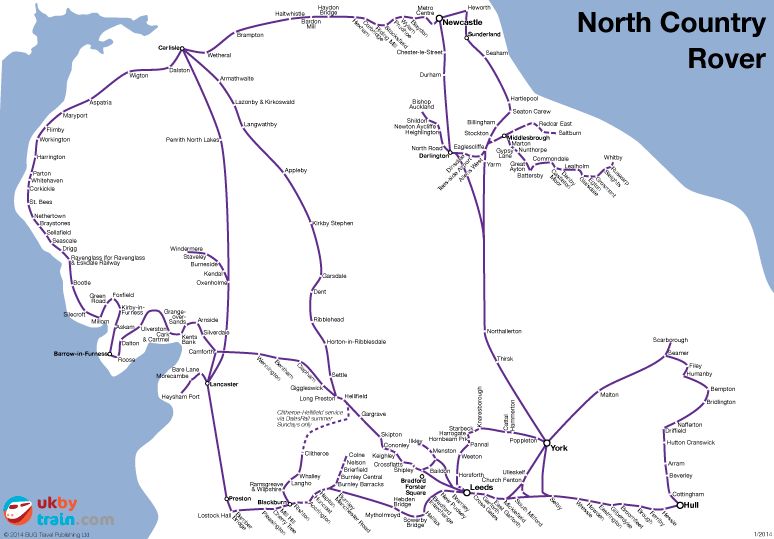 The North Country Rover rail pass is good for unlimited rail travel in northern England including Cumbria, East Riding of Yorkshire, Lancashire, North Yorkshire, Tyne and Wear and West Yorkshire. This rail pass allows you to travel to Hull, Leeds, Bradford, Newcastle-upon-Tyne, York and the Lake District. This is a flexi pass that is good for unlimited rail travel on four days within an eight-day period. It is good for off-peak travel after 8.45am Monday–Friday and all day on weekends and bank holidays.